This is a guest post by Adam Chapman, who is a postdoctoral fellow at the University of Gothenburg’s Department of Education, Communication and Learning. Adam has an interest in many aspects of games, popular history, collective memory and learning, with a main focus on historical games (i.e. games that represent the past) and is interested in questions about what it means for history to be told through this new medium. He is the author of articles for journals such as Rethinking History and the Journal of Digital Humanities and of Digital Games as History, a forthcoming monograph to be published by Routledge. 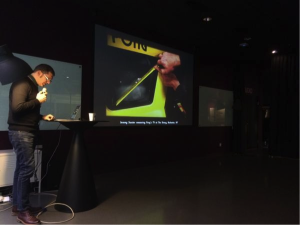 Recently at Gothenburg University, Sweden, in the university’s Visual Arena, we held a conference called Challenge the Past/ Diversify the Future. [ed: tweets from the event are collected here] This event gathered digital archaeologists, heritage, classics, visualization researchers and practictioners and also scholars interested in the study of historical representation in games. Participants came from around the globe, as far afield as Japan, Australia and the United States. I am writing about Challenge the Past for Play the Past because it seems that the event was relevant to readers, not only because of its seeming significance to historical game studies, but also because of what it implies about historical representation and those that study it. Challenge the Past was created and co-organised by Dr Jonathan Westin (Department of Conservation, University of Gothenburg) and Dr Anna Foka (HUMlab, Umeå University). Initially the conference was devised as a way to create a network of scholars and professionals interested in digital humanities, and more specifically to gather those interested in the representation and conservation of the past in the present and the possibilities that this offers to the future. Somewhere during their planning of the conference they invited me to run a track on historical games (games that include historical representations), the focus of my own research. I jumped at the chance to be a part of what was shaping up to look like an interesting event. What we didn’t quite expect was the fairly impressive response to the call for papers on historical games. Eventually we accepted over 30 papers for the historical games track alone, a similar number of papers from digital archaeology, classics, heritage and visualization, as well as inviting 6 keynote speakers. Firstly, this gathering of scholars felt significant in that it heralded an important moment for those who study historical games. As many Play the Past readers know, the field of historical game studies has been steadily gaining pace for around a decade now (no doubt in part due to Play the Past). 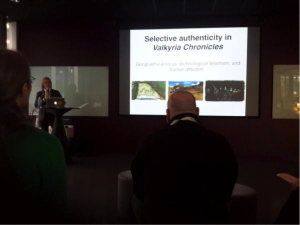 However, having so many scholars interested in the topic, presenting and discussing the representation of history through games in one place, felt quite special, and was perhaps a turning point for the field. 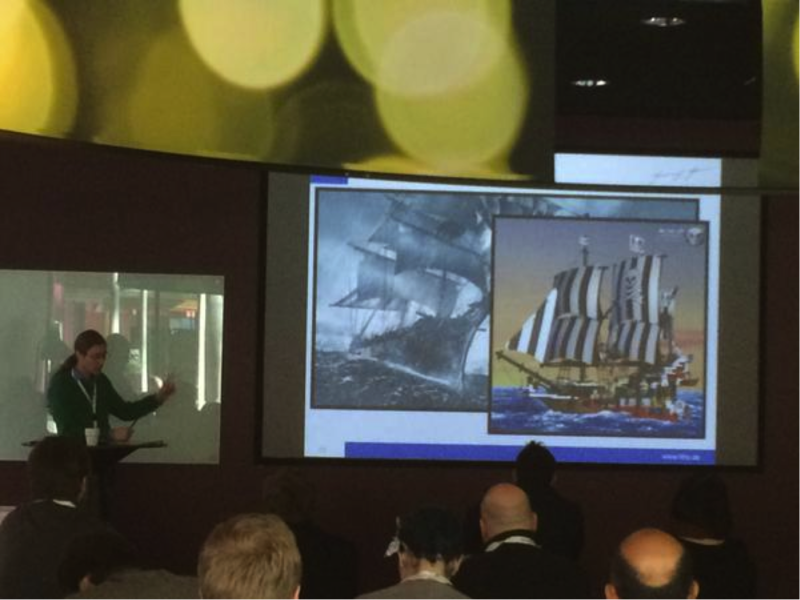 Certainly, it was, to my knowledge, the largest historical game studies event so far. And indeed, I think that this is representative of recent developments in a field that has started to form a cohesive presence and discourse. There are now a number of books on the topic of historical games. These include collected volumes such as Playing with the Past (edited by Andrew Elliott and Matthew Kappell); Pastplay (edited by Kevin Kee); and Digital Gaming Re-Imagines the Middle Ages (edited by Daniel T. Kline) and monographs such as Gaming History (Jeremiah McCall) and the forthcoming Digital Games as History (written by me and due to be published by Routledge sometime next year). A field of reference is forming and indeed what is already there in diverse book chapters and journal articles functioned pleasingly as a common referential language at the conference, again signs of the gradual cohesion of the field. Given that games are now one of the most widespread forms of history in popular culture, if this were indeed a moment then it could not have come too soon. Tobias Winnerling (Heinrich-Heine University Düsseldorf) compares digital historical games and Lego. 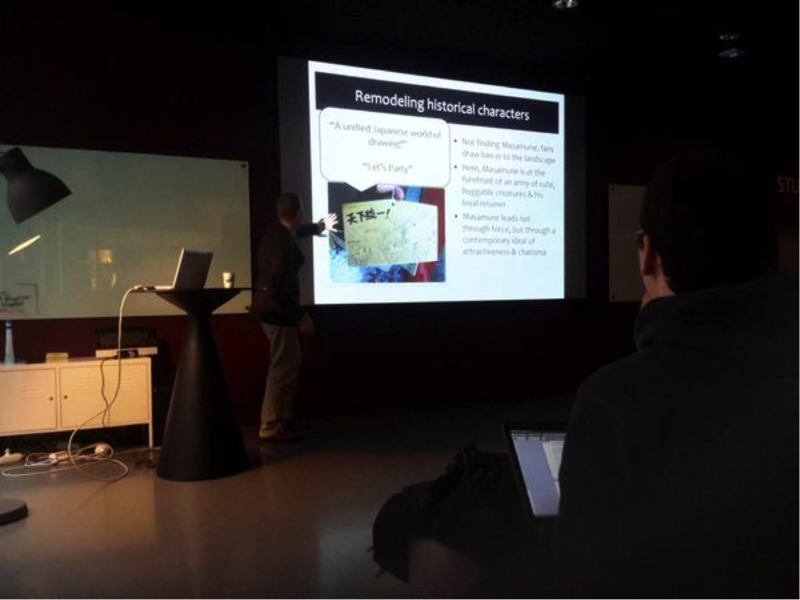 Last year, here at Gothenburg University, we ran a successful course for 20 international PhD students on the topic of historical representation in games. What became apparent at the conference is that courses on or using historical games seem to have an ever-increasing presence in higher education. 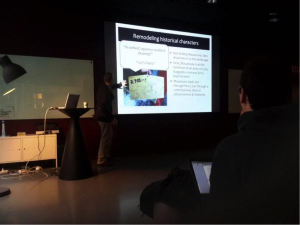 For example, Derek Fewster (Helsinki University) has run what looks like an excellent course for students on the topic historical games for the past 3 years and intends to continue doing so in this year’s summer school at the university. So too, other conference attendees such as Nicolas Trepanier (University of Mississippi) and Robert Houghton (St Andrews University) described their use of historical games in their curricula. Relating to this, it quickly became clear at Challenge the Past that historical game studies is now old enough to be well into its second generation of scholars. Indeed, there were a number of presentations from both Masters and PhD students and these were of an impressively high quality and engaged with the topic from a variety of perspectives. Indeed this diversity was characteristic of all of the historical games papers (and the wider conference), fitting given the conference’s title and theme. Themes ranged from race in Assassin’s Creed to nationalism; gender in Valiant Hearts; to differing perspectives on authenticity in heritage, player culture and the game design industry. From exploring the bibliography of historical games; to the use of historical games in education. And from representations of 9/11 in Minecraft to analyses of historical board games. A whole gamut of approaches and perspectives assured that whilst historical game studies has now achieved some cohesion it has not lost any of the multiplicity and variety that makes for the healthiest of academic climates. However, one thing that did emerge was a need for caution with our claims about players and developers. Whilst we have been good at studying historical games as texts, we have done less to provide empirical studies of historical game player practices. We have also perhaps stumbled a little in facilitating communication with industry to find out exactly why they choose to represent the past in particular ways and the pressures they are subject to in this regard. However given the concern for this issue and the connections to industry that many at the conference had, it seems that perhaps the latter of these problems will not remain so for much longer. 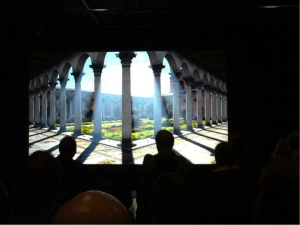 However, what I have described so far only really speaks to half of the conference and the other half on digital archaeology, heritage, classics, museum studies and visualization was, simply put, fascinating. 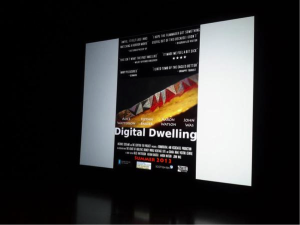 The papers were filled with novel approaches to popular representation of and engagement with heritage as well as new digital perspectives on archaeology, all through the use of artistic, methodological and/or technological innovation. 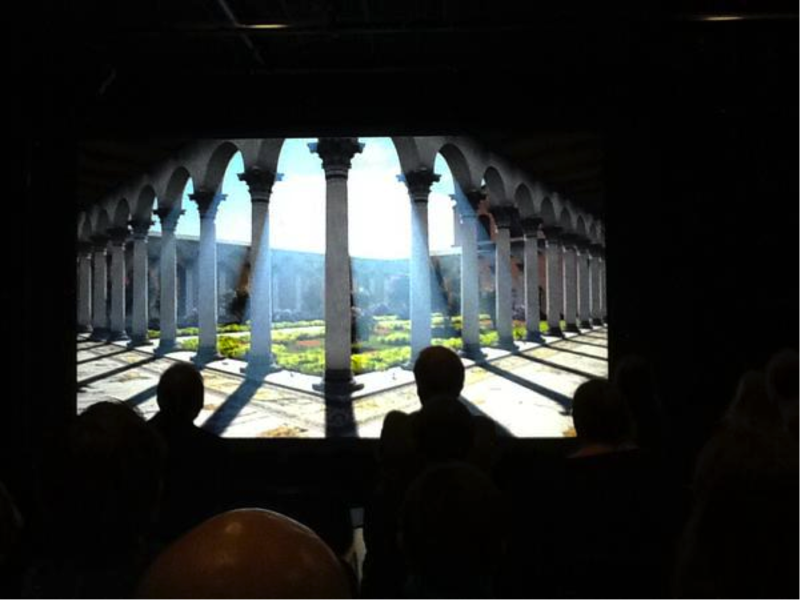 Furthermore, some of the digital visualisations were quite breathtaking (for example, see the Byzantium 1200 project), with amazing detail and yet a healthy consideration of the nature of their own processes of representation. What was perhaps most inspiring was the intersubjectivity between those interested in history in games and those interested in history in and through more conventional means. Many of the issues, both in terms of theory and in terms of technological practice were very much shared. And so too was the technology itself, game engines such as Unity and Unreal are being used by scholars to create simulations of the past and mobile augmented reality apps and games to provide new museum experiences. Microsoft’s Kinect seemed to be a particularly favoured tool used for everything from scanning archaeological sites in order to create 3D (or even virtual reality) models, to allowing students to see themselves in classical amphitheatres and to perform experiments with the aim of understanding the space and the precise workings of the dramas that were performed there. So too for those of us that study games there was an awful lot to learn and engage with from the heritage and archaeology part of the conference. It became clear throughout the course of Challenge the Past, that many of the issues that these academics and practitioners struggle with, particularly those to do with visual representation and trying to find fresh and often playful ways to engage the public or students, of course relate to the field of historical games. Here, there is perhaps a body of literature and experience that we sometimes too easily overlook. So too I hope that there was an exchange in the reverse manner too and this seemed to indeed be the case. There seemed to be an enthusiasm and interest in the possibilities of games for heritage and archaeology, with much interest in what is already out there in the games industry and game culture and also the kind of research and perspectives that those of us in historical game studies have been taking on them. Certainly there was no segregation at the conference and all the papers had a good mix of people from different disciplines and interests. Thus, though in this blog post, for the sake of convenience I have talked of the two halves of the conference, in practice this was not at all the case. This was thanks solely to the participants’ curiosity, respect, open mindedness and general willingness to engage with and see the connections between, the different disciplines and fields present. This intersubjectivity was also very much apparent in the relatively unified discourse of the conference. Indeed, in my experience it is rare to see such an interdisciplinary environment and range of interests and yet such an absolute interest and belief in a core theme from everyone involved. Each scholar there shared an interest in the ways in which history and culture are preserved, represented and engaged because each in their own way seeks to address the challenges this presents to the past and to embrace the diversification this offers in both the present and the future. It is difficult to think of a better way to embrace such a notion than with the variety and yet collaborative focus, of the work on offer during the conference. This was particularly inspiring because it represented at its best what contemporary academia is all about, interdisciplinary work being practically applied to solve overlapping problems and interests. Interestingly, there was a sense that emerged from the discussions, both around papers and over drinks, that history, heritage, classics and archaeology have really moved on from the epistemological debates that have somewhat dogged the study of the past in recent times. Whilst these discussions have been undoubtedly both significant and valuable, all too often, particularly in conference contexts, they can obstruct productive debate and distract from other important topics of discussion, generally without satisfactory resolution. Instead at Challenge the Past there was a real sense of the quality of the middle ground between the naiveties of both the old empirical history and the more extreme forms of relativism. Papers were constantly anchored in the notion that whilst empirical methods are often extremely important and often very appropriate for those eager to do work in the world, subjective interpretation is always a necessary practice to these efforts. Thus history, whether in games or in dig sites, is always both a factual and creative construction. This was a productive space to hold academic discussion in and I hope here that the conference reflects the wider mood of historical studies of all kinds. Challenge the Past emphasized that whilst we might frequently engage with ideas or perspectives that are from outside our individual research areas and disciplines more than ever before, the study of the past is always tied to core themes and issues with which each of us wrestles. We are all concerned with the representation of the past in the present in some way or another. Discussions held during the conference constantly engaged core issues related to this unifying theme. How best can we represent the past without obscuring the creative nature of constructing it? How can we better use existing technology and implement new technologies to increase our own understanding and disseminate our research? How do we better involve popular audiences? What are the best approaches to analysing and understanding existing popular representations? How can popular culture producers and consumers and academic professionals better engage with each other? Whilst these questions are too big for any one conference to solve completely it is our hope that Challenge the Past provided a good environment in which to collaboratively tackle some of the challenges and possibilities of these themes, from diverse perspective in the most fruitful way. And at the very least the conference highlighted that these kinds of questions are at the root of what history in the 21st Century is all about. If the environment of the conference really was a fertile ground for such discussion this was really down to the participants and presenters and indeed a wider academic culture that now, at least attempts, to privilege variability in our subjects of study and yet interdisciplinary communication, networking and collaboration across them. Challenge the Past was a very enjoyable and productive experience for Jonathan, Anna and I to run and I hope also for the participants. Hopefully in the future when we look back and see what emerges from it it will indeed have proven to be in some way a meaningful moment more broadly, as it felt to be for historical game studies and its relation to other disciplines. And perhaps most importantly I want to take this inspiration to echo a call made many times, (in case it is still really needed) that interdisciplinary events can really work and exchange such as this can be genuinely valuable, interesting and really fun.